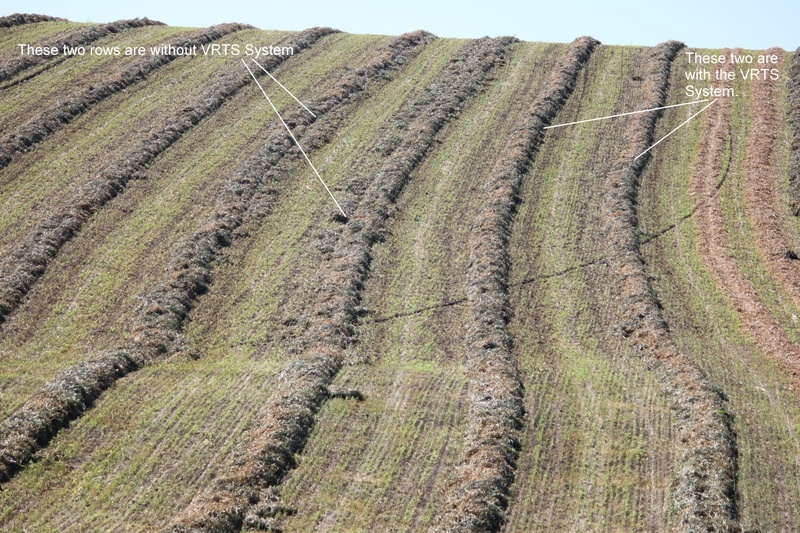 The above picture illustrates how much more effectively the rake collects the hay and how much more uniform the windrows are with the VRTS System installed. 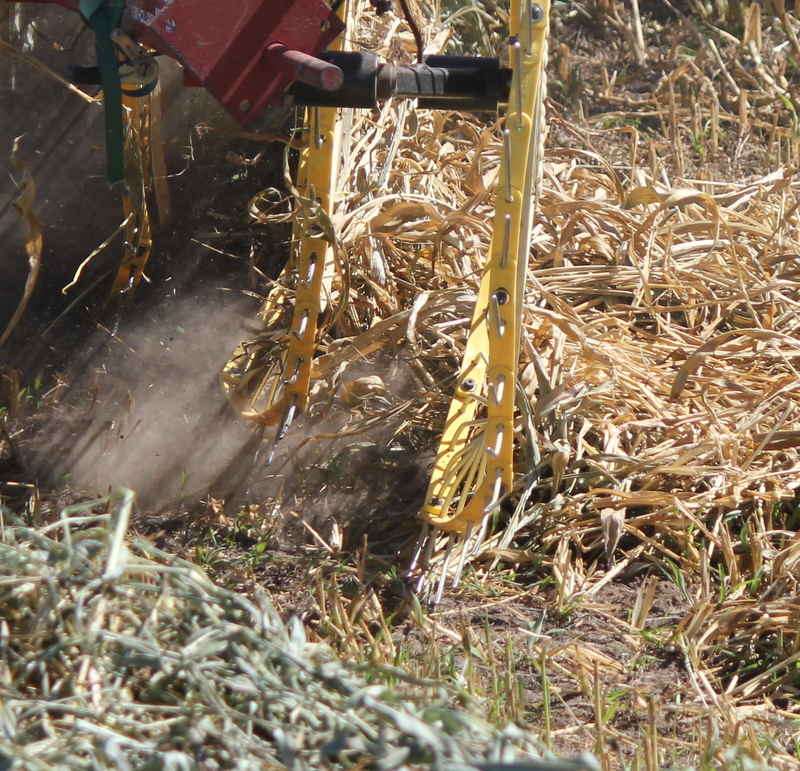 By joining teeth together in precisely the right way, the VRTS System allows the rake wheels to work mechanically as designed to produce effective raking while substantially reducing bent/broken teeth. The picture below clearly shows how the system works.